Pat Carroll in conversation with Fergus Gloster, the founding director of European operations at Salesforce. What advice would Gloster have for startups? As a chapter director of Startup Grind Limerick, I am fortunate to have fireside chats with some inspiring entrepreneurs. These founders share valuable insights at our monthly networking events. It’s not every day that you have the chance of interviewing a major technology thought leader, who you also happened to go to school with, a few years ago. Limerick native Fergus Gloster joined Salesforce.com as founding director of European operations when it was a startup with less than 100 employees worldwide. During his nine-year tenure, Fergus played a key role as SVP, corporate sales Europe, and helped shape Salesforce into a billion dollar CRM platform. After that, Fergus went on to set up leading marketing automation company Marketo’s international business in 2011 and saw the company go from private to public ownership. Here are some of the key points made by Fergus during our fireside chat (video below). Fergus excelled at Maths in school and went on to study Applied Maths at the University of Limerick. His first job was in Silicon Valley writing code for mainframe computers. “With a chisel and hammer – I was a techie,” he says. He spent the first 15 years of his career writing code and leading various technical teams. These included global leaders in their field, Wang & Oracle, where he ended up as technology director. Two of his colleagues at Oracle, Dave Dempsey and John Appleby were very interested in “network or on-demand computing now called cloud computing”. 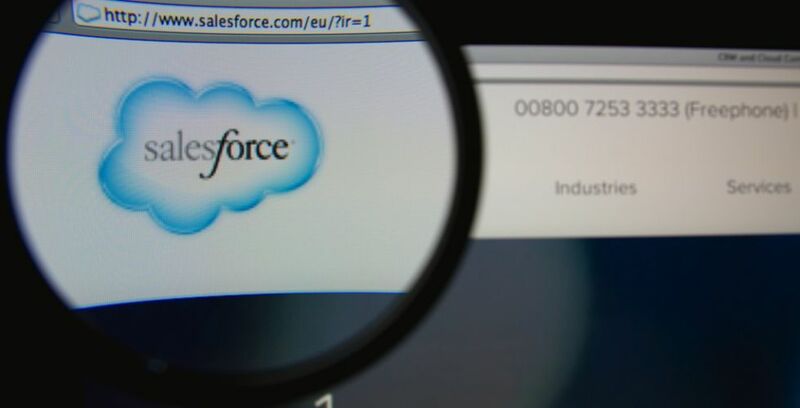 After spotting a short article in Business Week, John crafted an email to a little known, tiny company called Salesforce, asking, “What are you doing in Europe?”. This later leads to Salesforce setting up its first international organisation. “So if anybody wants to know if outbound telemarketing marketing works, there’s the answer’, says Gloster. The three Irish guys, who gave up their top positions at Oracle to join Salesforce, arrived at their basement office in San Francisco which had “a smell of garbage and a mouse problem”. They came in suits to be met by Marc Benioff and his team, sporting Hawaiian shirts, shorts and baseball caps and a puppy called ‘Koa’ who wasn’t yet toilet trained. “What have we gotten ourselves into? This is too California-esque,” Gloster complained. However, they soon settled in. “What was so appealing about the vision that Marc Benioff painted for us was that the whole business of software was to change radically if cloud succeeded. If it happened, it would dramatically change the entire software market. Software hadn’t changed over the years regarding delivery. The on-premise model typically cost about $18k, according to Gartner. The primary process was to write code, transfer it onto a CD and physically deliver it. Larry Ellison of Oracle and Salesforce’s founder Marc Benioff were at the forefront of this by not just figuring out the technology of cloud but by figuring out how to sell it and how you get adoption and how to get that viral effect long before the social wave happened. Salesforce.com now has 19,000 employees and will turn over $8bn this year. It has a market cap of $60bn and is the dominant player in CRM. 1. Surround yourself with people you trust 100%. One of the reasons Salesforce worked was by having a small trusted group, and not having to rely on outside advice but making it happen by ourselves. 2. Starting a business from scratch in really tough – you have to be relentless – it is not nine to five. 3. Use detail to give directional information on what is working and what is not. This requires paying close attention to the detail and what the data tells you. Then it’s all about execution. Someone else is going to have a product like yours, so you have to out-execute the competition. Setting up in Limerick v London or Berlin? There’s nothing to stop startups developing anywhere – you have access to any market by using Azure, Amazon or Salesforce as a platform. You have to have proper execution, the quality of your services and all the mundane things that make business possible. The location is not a barrier to market entry anymore, but the flip-side of this is that the guys in Estonia can do the same. It’s not always about tech or the brainiest guys. You have to have people who can sell, as well as access to skills and talent. 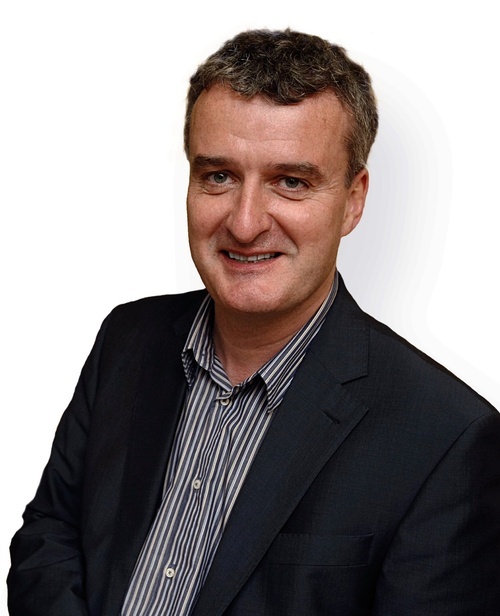 13th October: Adrian Fleming, founder/CEO Accuvio. 17th November: Ronan Perceval, founder/CEO Phorest. 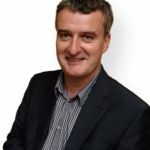 8th December: Cathal Gaffney, founder/MD Brown Bag Films. Article by Pat Carroll, @PatCarrollTouch. Main image from Gil C / Shutterstock.com.